On a chilly, overcast morning, I’m sinking into warm geothermal waters. My body has gone limp, suspended on a floating foam mat, the hands of skilled masseuse kneading away my city stress. I am receiving the best massage of my life at Iceland’s Blue Lagoon. My only thought before drifting off to sleep is why don’t I do this every weekend? In theory, I could. 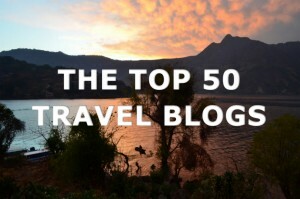 A quick, five hour flight from New York (that’s faster than flying to the West Coast!) and a twenty-minute bus ride and I’m blissfully wading through the Blue Lagoon. Could there be an easier weekend getaway? This was my second visit to Iceland, and long overdue. Because it’s so isolated, Iceland feels like one of the last places in Europe where you can still experience culture shock (just ask any local whether they believe in elves and you’ll see what I mean). On my first trip to Iceland, I did it all– ran down black sand beaches, drove through blinding snowstorms, straddled the continents, hiked glaciers and played with adorable miniature horses. I topped off my whirlwind week with a dip the Blue Lagoon and ever since have been dreaming about those sky blue waters. On this quick stopover in Iceland, though, I only had 24 hours, not nearly long enough to repeat my former itinerary or explore new regions. 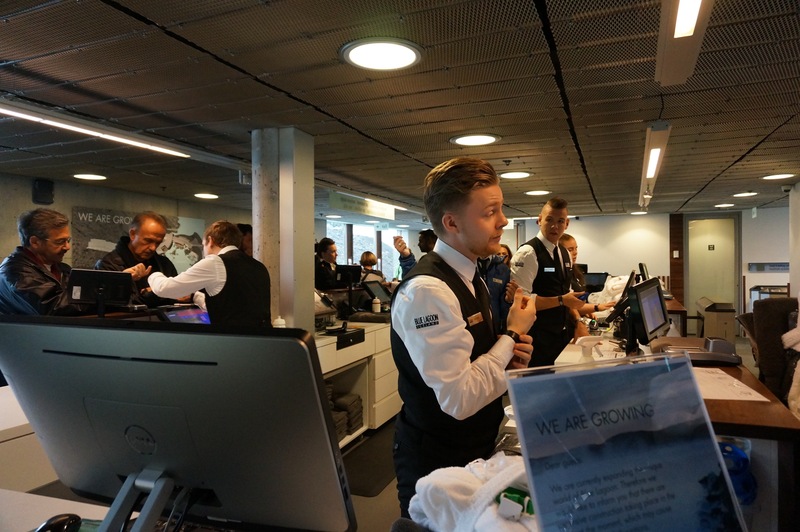 Fortunately, I already knew I wouldn’t need much time to hit one of my favorite spots–the Blue Lagoon for a relaxing soak, massage and some unique shopping for only-in-Iceland souvenirs. 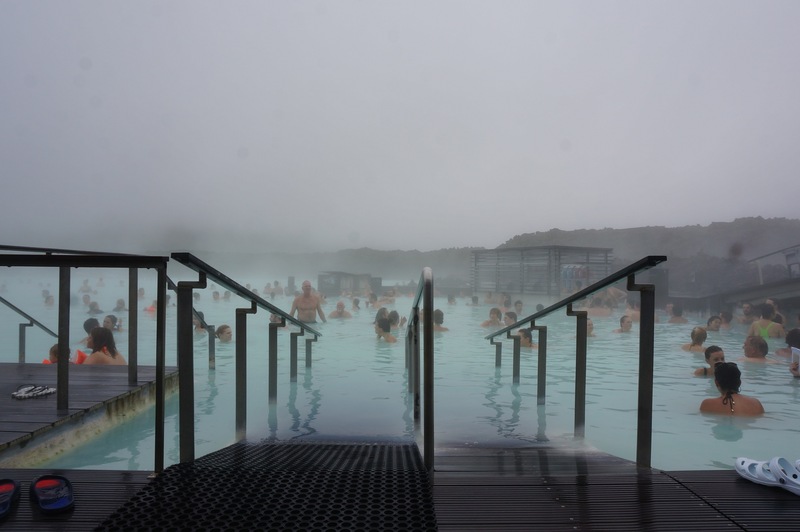 Unlike other geothermal springs around Iceland, the Blue Lagoon has top notch amenities that make it incredibly easy and convenient to visit. Because it’s between the airport and Reykjavik, it’s not only doable but advisable to hit the lagoon before or after your flight. On this visit, I came straight from the airport and checked my luggage at the kiosk right at lagoon’s drop off point. 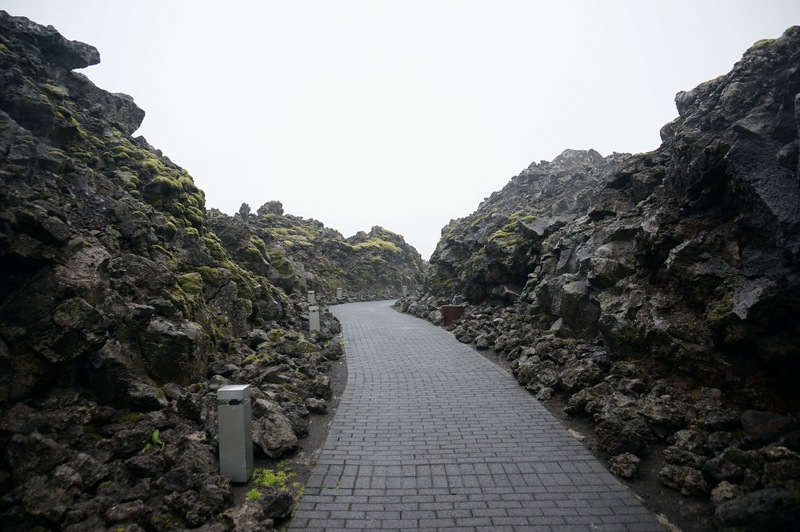 Head down this volcanic path etched out of lava to reach the Blue Lagoon. Check in is a breeze– you are given a bracelet to handle transactions so there is no need to carry cash. 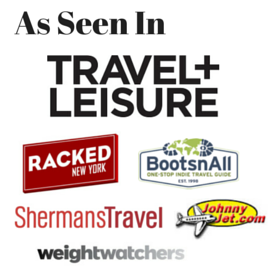 You can select from different packages which offer various amenities (robes, towels, drinks etc. ), as well as add on treatments like the underwater massage. Stash your stuff in a locker, grab a robe and towel and hit the showers before dipping in. 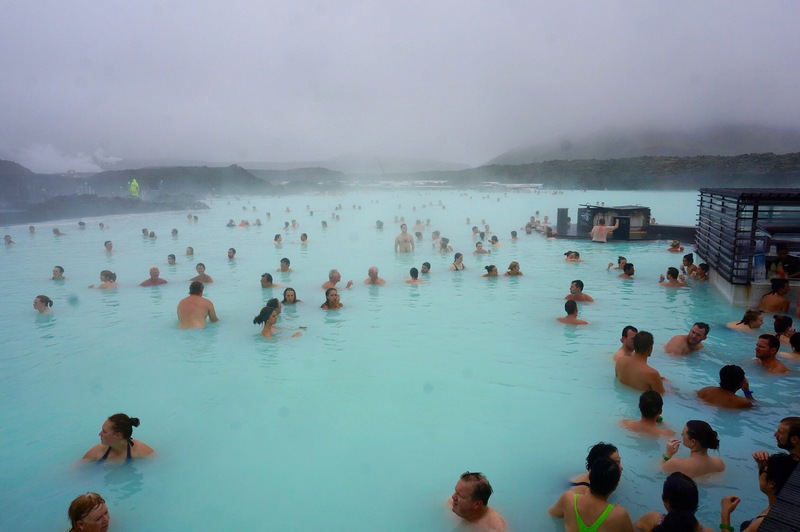 Yes there will be other tourists at the Blue Lagoon. But the lagoon is large and it’s easy to float to your own corner. 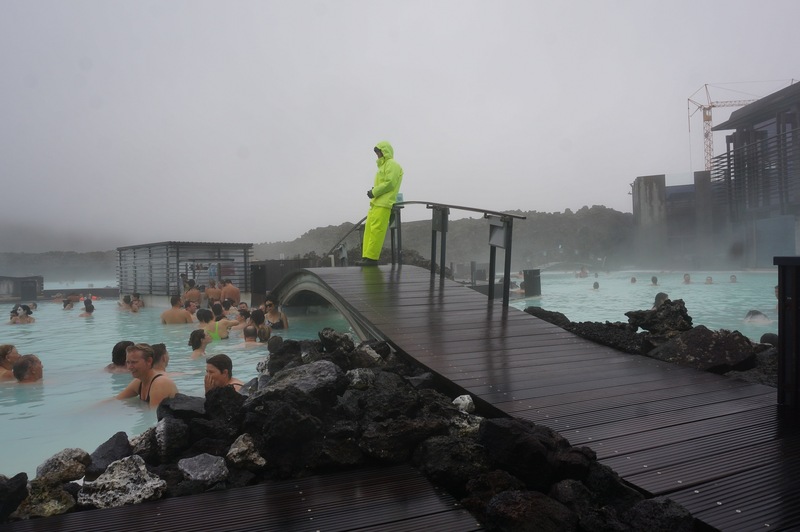 It was spitting rain the day I visited the Blue Lagoon, which made sinking into the toasty warm waters extra gratifying. Who visits the lagoon? Singles, couples, groups– pretty much everyone. On this trip I visited alone and had a blast. But I would love to come back with a beau on a future trip. 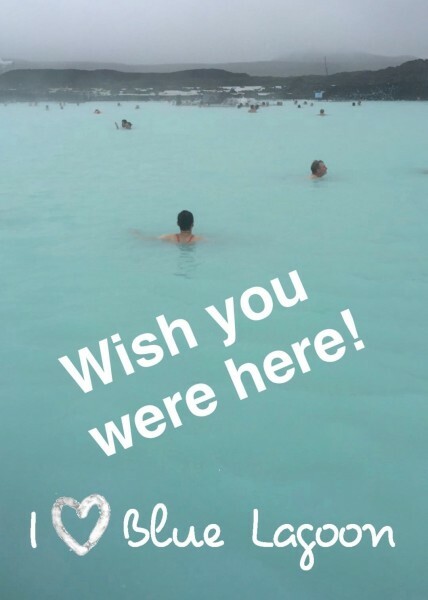 The Blue Lagoon even has its own snapchat geotag. You don’t have to dunk your head underwater– avoid the issue altogether by wearing it up or wearing a bathing cap. Douse your hair with as much leave-in conditioner as possible beforehand. Post lagoon, your hair will feel sticky and dry. Do not freak out, there is no permanent damage, it’s just a build up of minerals. Conditioning your hair alone is not the fastest way to restore your hair. The key is clarify (to remove build up) then condition. For a cheap but highly effective clarifying shampoo I use Prell. My favorite conditioners are from Keratase. Depending on how processed your hair is, it might take multiple clarifying shampoo/conditioning treatments to get back to normal. 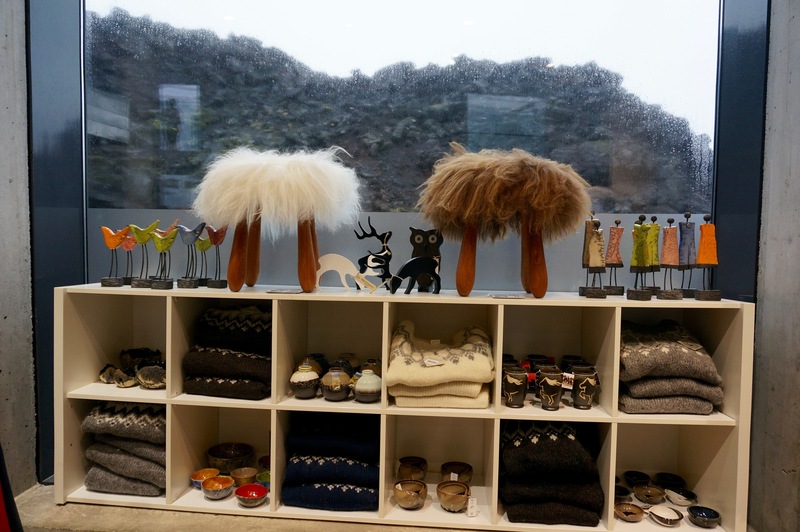 The Blue Lagoon is a fantastic place to shop for unique only-in-Iceland souvenirs. 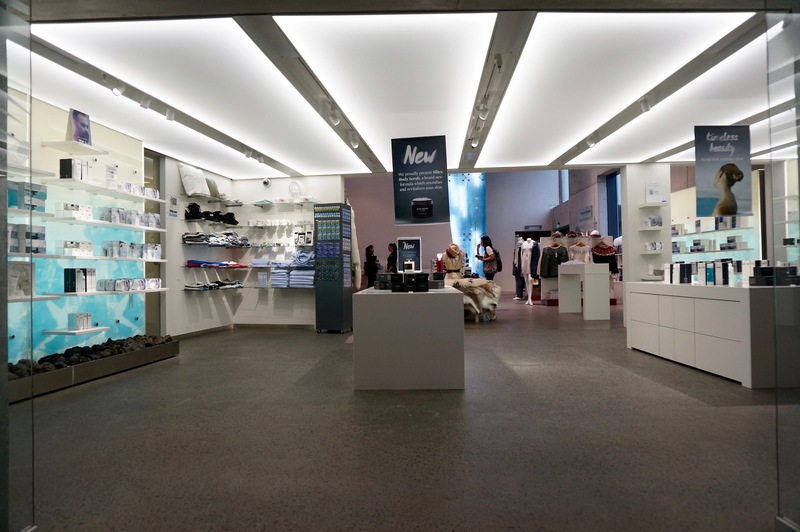 Their huge on site store carries their entire line of skin care products as well as an excellent selection of Icelandic crafts and goods from local artisans. 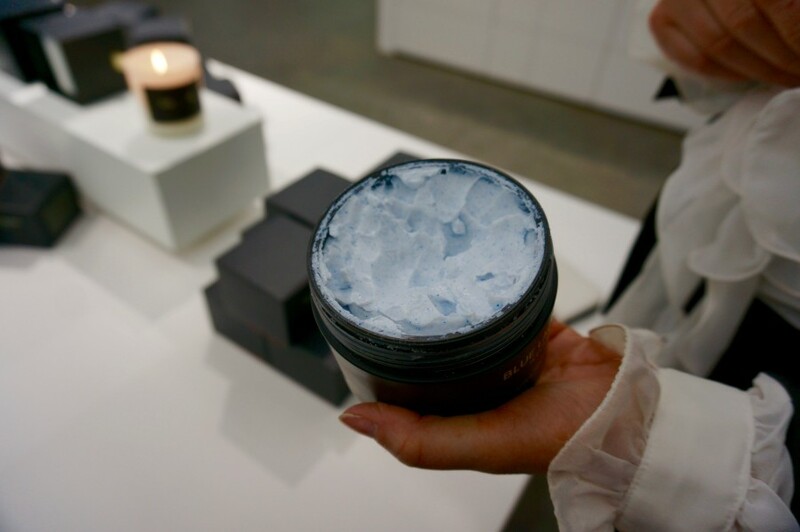 What makes Blue Lagoon skin care products unique are that all of the products contain a combination of the same elements that exist in the lagoon itself– the silica mud, the algae and the healing minerals. Their products are designed for sensitive skin, so with my fussy, easily irritated skin, I was a perfect guinea pig to review them. The silica body scrub is divine– little bits of real silica act as an exfoliant. After a thorough head to toe rub down, my skin was like butter. This was my absolute favorite product. Silica Mud Mask. On my first visit, I bought the silica mud mask and absolutely loved it– it’s excellent for a deep cleaning. Even though the mask dries hard, it rinses off easily with warm water. The mask based on the silica mud you can scoop and slather onto your face at the actual lagoon. Algae Mask. This time I tried the gentler algae mask, perfect for dry skin. I loved the texture and cool feel to the mask. It’s great for a little extra boost of moisture and I found it to be especially soothing around the eye area. In addition to skin care products, the Blue Lagoon shop also carries fluffy robes, slippers, bags and towels. As a nice bonus, the Blue Lagoon shop does an excellent job of bringing together beautifully designed local products and brands. From handmade sweaters to volcanic stone jewelry and objets d’art, there really is quite a selection. You can also pick up a swimsuit here in case you forgot to pack yours. Have you visited the Blue Lagoon? Tell us about your experience! Disclosure: On my most recent visit I was a guest of the Blue Lagoon, however, all shopping picks are my own. Indeed, it does look like the perfect getaway. You get to relax your body and your mind with the amazing colors .